The blood pressure category of prehypertension is established by office blood pressure measurement. We investigated the role of 24 h ambulatory blood pressure measurement in subdividing office-based blood pressure categories, establishing the diagnosis of true prehypertension, masked and white-coat hypertension. Furthermore, values of 24 h ambulatory pulsatile hemodynamics were assessed in the different categories. 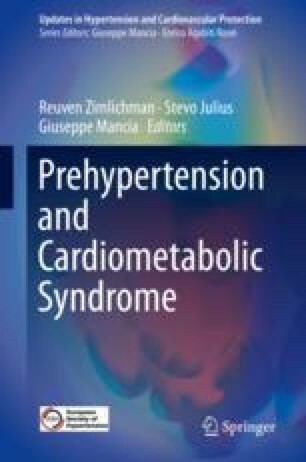 The main finding is that a substantial proportion of individuals with an office blood pressure-based diagnosis of prehypertension actually have masked hypertension. These individuals have the highest values of all measurements of 24 h pulsatile hemodynamics (central pressures, wave reflections, aortic pulse wave velocity), which may contribute to their known increased cardiovascular risk.